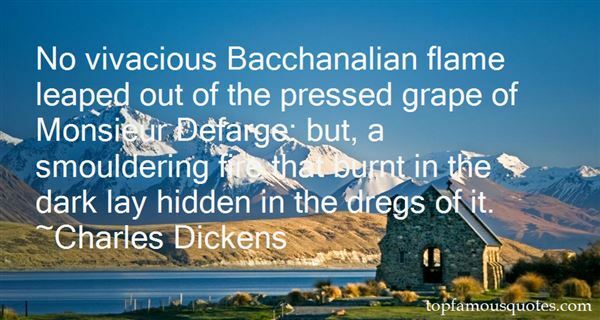 Reading and share top 3 famous quotes and sayings about Bacchanalia by famous authors and people. 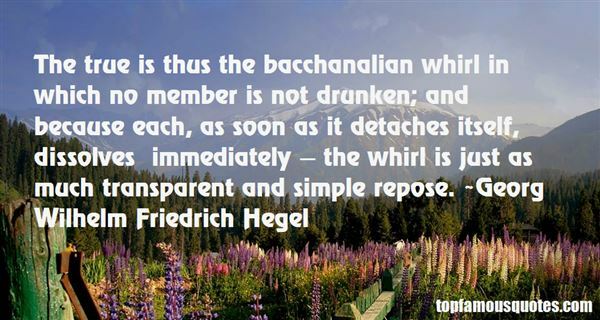 Browse top 3 famous quotes and sayings about Bacchanalia by most favorite authors. 1. "Jaweh is clearly not a Nature-God. He does not die and come to life each year as a true Corn-king should. 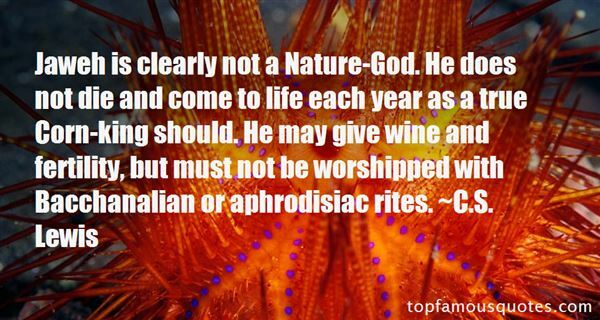 He may give wine and fertility, but must not be worshipped with Bacchanalian or aphrodisiac rites." 2. "No vivacious Bacchanalian flame leaped out of the pressed grape of Monsieur Defarge: but, a smouldering fire that burnt in the dark lay hidden in the dregs of it." 3. "The true is thus the bacchanalian whirl in which no member is not drunken; and because each, as soon as it detaches itself, dissolves immediately — the whirl is just as much transparent and simple repose." Who you were is never as important as who you are. So… who are you?"